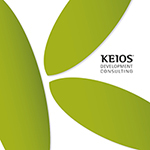 Keios has been hired by the Department of Tourism, Information and Broadcasting of the Government of St Lucia to deliver consulting services to update the Sustainable Tourism Plan of the island. The purpose of the assignment is to refine and update the Tourism Strategy & Action Plan developed for Saint Lucia in 2013 to a detailed, clear, sustainable, coordinated practical and realistic plan. The activities are in the framework of the “Regional Tourism Competitiveness Project” funded by the World Bank. The project kick-off will be held in Castries on the 11th of March.